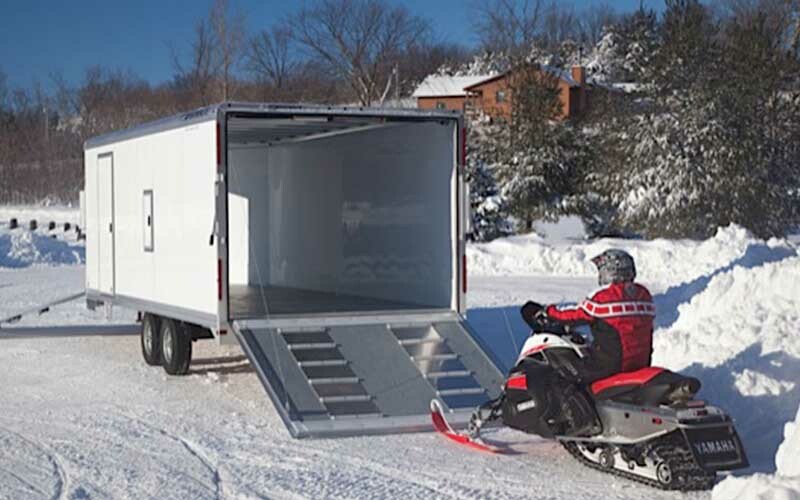 Snowmobile trailers are essential for transporting your snowmobile from trail to trail. While they are available in a wide variety of designs, one of the most important aspects to each is that they are able to withstand the harsh winter elements. Typically and aluminum framed trailer will hold up better than a steel version on salty winter roads. Usually one of the biggest challenges is keeping the trailers lighting system working properly. The salty roads can intensify corrosion on bulb connections and terminals throughout the entire lighting system. Luckily, there are some easy tips to follow to ensure your trailer lighting stays in good working order. A couple of times a season follow the entire wiring system. Be on the lookout for wires that are bare, or terminals that might be damaged in some way. Make sure your ground wire is properly connected. To ensure corrosion is kept to a minimum, purchase some waterproof grease. Put a bit on both bulb bases and contacts. Every time you head out with your trailer, check each light to make sure it works.